In Serinyà, we can find important prehistoric discoveries from Paleolitic. They are in the spot called "El Reclau del Viver". In more than 800.000 years ago lot of different groups of humans have lived in these caves. 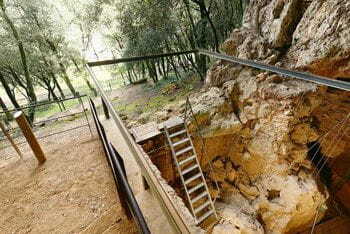 In these caves, archaeologic evidences from Paleolitic Iron Age have been found.